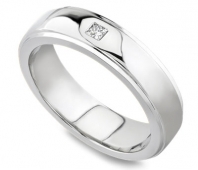 Diamond News >> How To Shop For A Diamond Wedding Ring? How To Shop For A Diamond Wedding Ring? We know how important it is to shop for your Wedding Ring and how much time is taken while you choose the ring that will stay on her finger for a lifetime. When you are going to buy a diamond wedding ring for her, you must be very careful about choosing the design and the metal in which the diamond is to be set. These decisions will play an important role in giving it that lovely look. The choice of the metal and the design that you choose must be based on your lady’s taste. Have a discussion with her mom or with her friends to understand her taste and preferences. 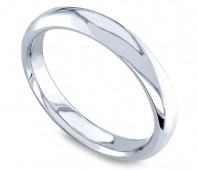 If you want your wedding ring to be scratch free then platinum would be your perfect choice. In recent times, designer diamond wedding rings are becoming the favorite among women. Before you come to a final decision on the ring that you select for her, try to get a few hints from her by showing similar rings on the internet or in magazines… just to see her reaction. When you want find out her ring size, try to get ahold of a ring she already owns, maybe with the help of her mom or one of her friends. 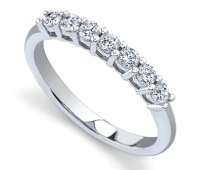 « Save Money With Novori Engagement Rings!